One of the largest general use industrial sites in Brisbane at Pinkenba in the Australia TradeCoast precinct has come up for lease. The property at 692 Curtin Avenue, Pinkenba, is being marketed by Ray White Industrial Milton’s Paul Anderson and CBRE Brisbane’s Dan Munnich and Nick Witheriff. Mr Anderson said the approximately 52,770 sqm site is in a good location within the fast growing TradeCoast precinct and offers a wide range of leasing opportunities. “The Australia TradeCoast precinct is the largest employment zone in Queensland after the Brisbane CBD,” Mr Anderson said. “We have a highly motivated vendor for this property who has set aggressive asking rentals. "“The available configurations include the whole property which features approximately 16,923 sqm of gross lettable area (GLA) over three detached warehouses. Mr Munnich said the property is currently leased by a motor vehicle auction business until August, 2015. “There is a current approval to the site for a sales and display yard,” he said. 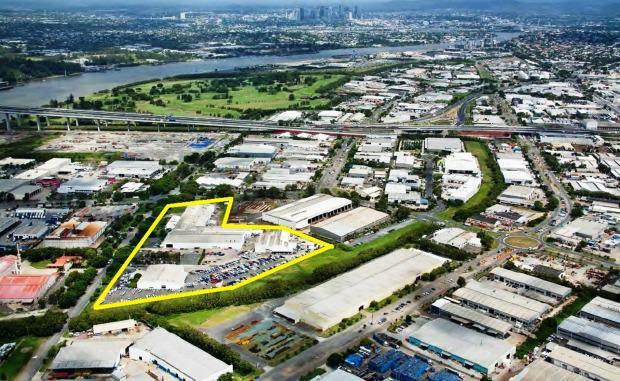 The site is located on the corner of Curtin Ave and Holt Street with direct access to Kingsford Smith Drive.